Since 2010, Hajdu has been increasingly active as a songwriter and librettist for concert music. The first album of songs with his lyrics, Waiting for the Angel, was released in August 2015 for Miranda Music. It has 11 songs with music composed by Renee Rosnes, Fred Hersch, Jill Sobule, and Michael Leonard. 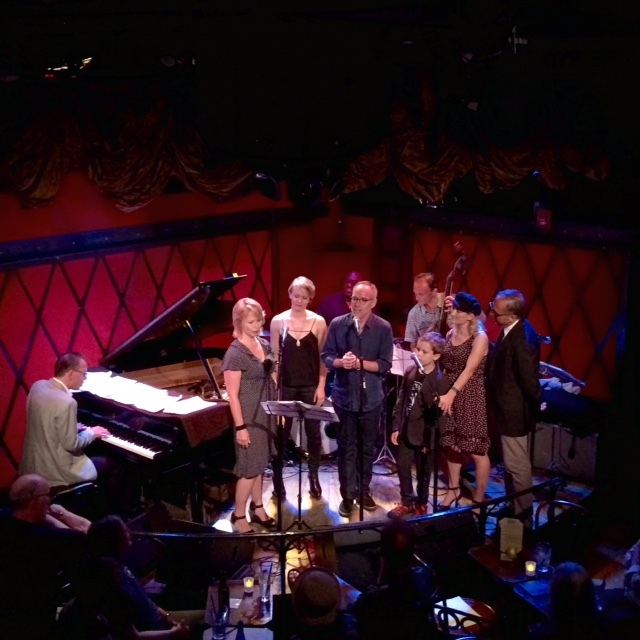 The album features the singers Jo Lawry, Karen Oberlin, and Michael Winther, the pianists Renee Rosnes, Fred Hersch, and Tedd Firth, and other musicians. (A digital-only release on iTunes includes a bonus track with music by Renee Rosnes.) A concert of the music was organized for performance at the Rockwood Music Hall. Hajdu co-conceived and helped develop Sobule’s song cycle Dottie's Charms, which includes lyrics by Jonathan Lethem, Luc Sante, Mary Jo Salter, Sam Lipsyte, Rick Moody, and others. The project was released on vinyl LP in April, 2014, and presented on the website for Harper's Magazine. The Harper's presentation includes illustrations by the artist Molly Crabapple and several short films inspired by the songs. In addition to helping to develop the project, Hajdu co-wrote two of the songs on Dottie's Charms: "I Swear I Saw Christopher Reeve" and "Women of Industry." Songs with lyrics by Hajdu have been performed (and/or recorded) by the singers Jill Sobule, Mary Foster Conklin, Kate McGarry, Colleen McHugh, Tanya Moberly, and Marissa Mulder, as well as Hajdu's own favorite vocalist, Karen Oberlin. The first full album of songs by Renee Rosnes and Hajdu, Ice on the Hudson was released on the SMK Jazz label in October, 2018. Titled Ice on the Hudson, the album features the singers Rene Marie, Karen Oberlin, Janis Siegel, and Darius De Haas, with musicians including Steve Wilson, Rogerio Boccato, Erik Friedlander, Ken Peplowski, Seamus Blake, Sean Smith, and Carl Allen. Renee Rosnes was musical director, arranger, and pianist. Four songs with words by Hajdu on new album by Stacy Sullivan, 'Tornado Alley'; release concert at Weill Hall. Two songs by Hajdu and Renee Rosnes performed at Weill Recital Hall at Carnegie Hall. Eric Comstock performs new Rosnes-Hajdu song, “I Like Pie,” at Birdland. New song by Hajdu and Renee Rosnes, “Ice on the Hudson,” opens acclaimed show by Stacy Sullivan and Todd Murray at 54 Below. Boston Conservatory Choral Ensemble records ‘Still,’ concert piece by Hajdu and Renee Rosnes. Tanya Moberly show, "I Love New York Songwriters," wins Bistro Award, is finalist for Mac Award. Features Hajdu-Sobule song, "Bad Idea."